The San Francisco Giants are coming to Phoenix to face off against the Arizona Diamondbacks on August 31st, and because you work for such a great company, you're invited! Plus, you can bring your friends, family, and anyone else you'd like! For just $20, you'll get a great seat at the Chase Field Diamond Club (directly off the main concourse in left field) as well as admission to the exclusive pre-game tailgate party in the parking lot at WebPT. Brad Jannenga will work the big grill to fill you up on some tasty Texas pit barbecue before you head to the game. The barbecue starts at 2:00 PM. But wait, there's more. WebPT is spreading the awesomeness even further by inviting Art House AZ to this special day at the ballpark. To support the growth of this fantastic nonprofit organization, we'll donate $5 from every ticket sold to Art House AZ. All money raised from this event will go toward the organization's very first 14-week art education program for struggling teens in the Phoenix Municipal School District. For more information about Art House and its mission, please see the bottom of this flyer. BBQ is exclusive to WebPT staff who have purchased a game ticket. Free parking at 515 E. Grant in the dirt lot. Free parking at 515 E. Grant in the dirt lot. Art House AZ is a non-profit organization that targets at-risk youth in Phoenix and provides them with 14-week art classes to attend during their free time. Our own WebPT peeps Jessica Millet and Mark Katz are even on the Art House board! 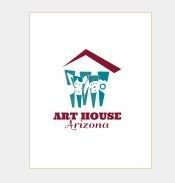 "Art House AZ is a non-profit art center whose mission is to provide a safe haven while educating and inspiring youth that face challenging life circumstances through visual and performing arts. This mission fosters the opportunity of creativity, self-esteem development and enjoyment in the arts, as well as, promotes leadership and communication skills for future endeavors."